I recorded a video on how to create the FWG a long time ago, but after a bit of back and forth discussion on Youtube, I have decided to pull that old video out and record some voice annotation so you can follow along. I do apologise about the audio quality, I only had my junky work headset to record with. Yes, this is how I spend my nights in hotels when travelling for work. If you’re located in Australia or New Zealand, chances are you use these lovely hexagons or some other variation of them to annotate pipework dropping or rising. But how do you create them in Revit? It’s quite simple actually. For this example I’ll assume you have not created an annotation family before and therefore is aimed at beginners. First, start by creating a new annotation symbol using the generic annotation template. 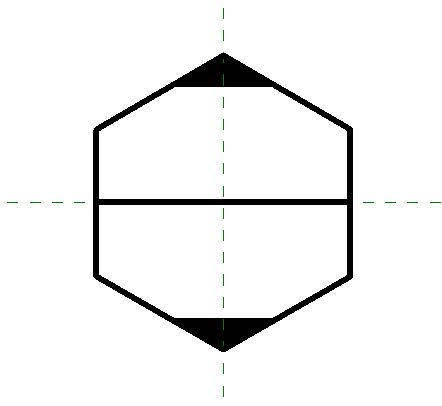 You can either draw up the hexagon manually or you can temporarily insert a DWG file to trace over the top of. Once you’re done, you should have your trusty hexagon sorted. To add the text to your symbol, you want to use labels. You can find the label tool on the create panel of the ribbon. When creating the labels, you will need to select the parameters that you want to pull the data from in your model – we will be using Diameter and System Abbreviation. 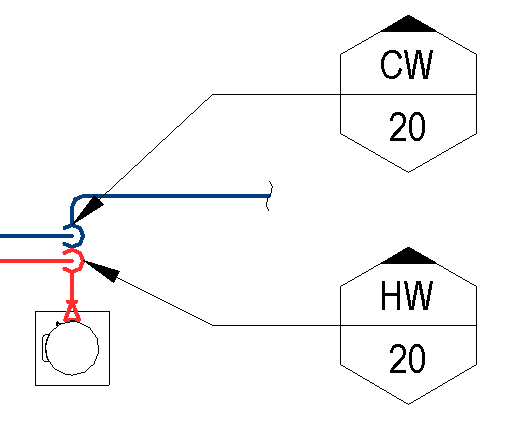 The reason why I use System Abbreviation is that it will automatically propagate to all pipework in the system where as other parameters do not. Don’t forget to adjust the text style of the label to suit your drafting standards. The next step is to apply a visibility setting on the filled drop and rise indicators. Simply select the triangle and and in the properties window, look for the Visible parameter. Select the small square at the end of the line (marked at 1), you will now have an option to select parameters to apply, yours should be empty. 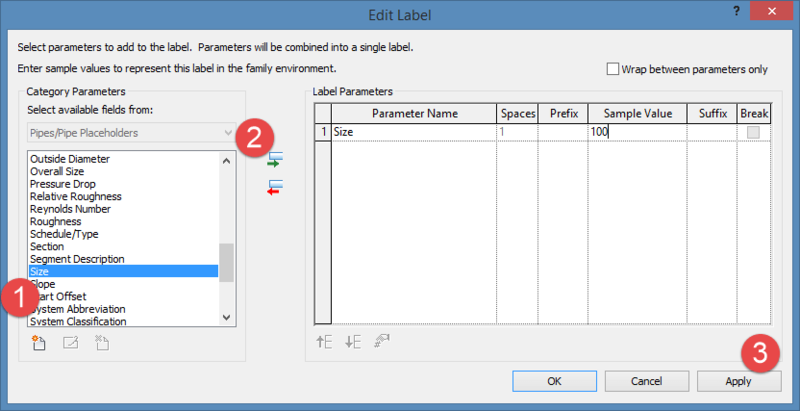 Select Add Parameter and then create a new parameter with the name RISE. Make it a Type parameter and sort it under Graphics. Repeat the process for the drop indicator. Create a new family type called RISE and then check the RISE parameter and make sure that DROP is unchecked. Do the same again creating a family type named DROP and check the DROP parameter, making sure that RISE is unchecked. in the drop parameter. When RISE is checked, drop will be unchecked and when RISE is unchecked, DROP will be automatically checked. And that’s it! Once you’re done, save your new family and add it to your template. When tagging your pipework, you need to manually select if it is a dropper or riser by selecting the family type from the properties window, the size and the service however will be automatically filled out for you. For the System Abbreviation parameter to be picked up, you will need to have this filled out in your pipe system settings for each service, note that it is simply listed as Abbreviation in the system settings. If you don’t use systems (you should be using them!) and rather you use pipe types to define your service, the System Abbreviation parameter will not work and you can use a shared parameter instead to populate the label within the annotation. 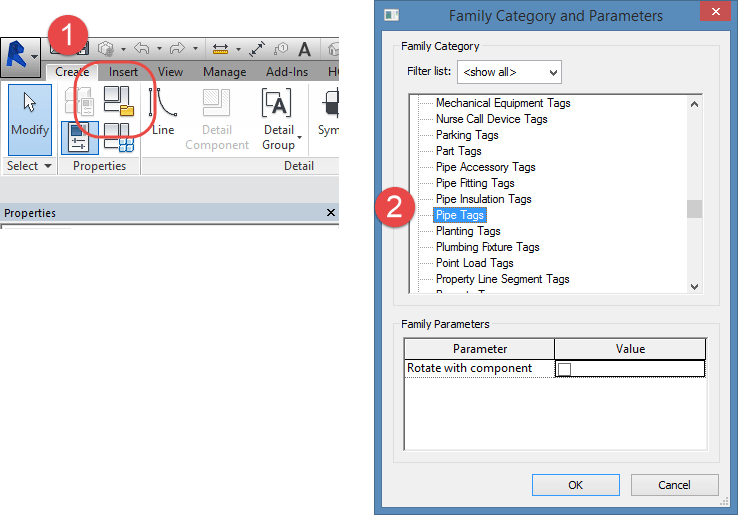 Making Revit Work For You Using Advanced Families. Lately I have found that a lot of the buzz about Revit is 3rd party add-ins and software. 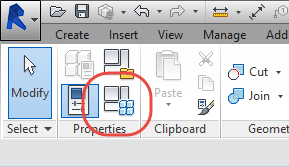 Sure they’re great and save a lot of time in our workflow, but what about making Revit itself do some work for you? Earlier this week I created a box gutter sump family that replaces an Excel spreadsheet that I used to use. From there, all the calculations are built into shared parameters. I decided to use the KG Martin method for sizing (from the CSIRO Experimental Building Notes 1978). Hydraulic designers sizing roof drainage know all too well about h, 2h, Dg and Dmax which were easy to work into the family in a step by step process. My original effort at creating this family I had devised excessively complicated formulas in an attempt to reduce parameters and what I originally thought to be simplifying the family as a whole. If I had taken advice from my Planning Families post though, I would have started out a little differently. When working through a family, you not only have to take into consideration the 3D elements, but parameters as well. What resulted in an excellent parametric family had absolutely nothing that I could schedule out. The schedule includes conditional formatting to warn that either the outlet is too small or the sump too shallow/excessively deep. As a further step, I also included a visual warning in the family itself, displaying a text box indicating the error within plan view. The schedule can then be added to a calculation sheet within the project for design verification purposes. The data inputs for each sump/outlet can be controlled through the schedule, or the user can double click on the sump within the schedule which will then take them to the family within the project. The next step is pipe sizing. 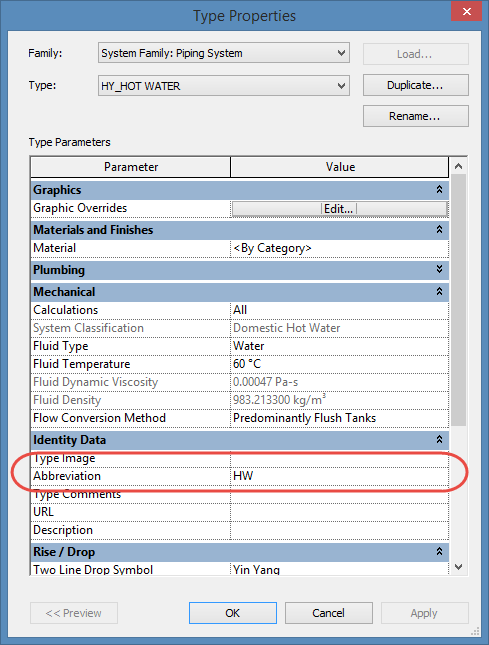 You would probably know already that Revit does not include a sizing method that specifically applies to stormwater drainage, however I have had some success using the hydronic supply system type with accurate results up to 100l/s which of course uses the data calculated within the family. For me, being a hydraulic designer and Revit modeller, this family eliminates some double handling in data entry, saving time in modelling and performing calculations. Data entry time is further reduced by creating a fixture tag that pulls the gutter size and sump size from the shared parameters with the family. All for a lazy 90mins development time.